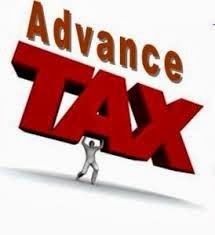 The Final Installment of Advance tax for Financial Year 2013-14 is required to be paid on or before 15th March, 2014 by the tax payers who are liable to pay advance tax. These taxpayers can make payments in the designated branches of the authorized banks, electronically or physically, as per law. The banks are open for half day on 15th March, 2014, being a Saturday. Accordingly, to facilitate payment of this installment of Advance tax for the Financial Year 2013-14, the Central Board of Direct taxes (CBDT) has issued an order to extend the time limit to make such payments of Advance Tax, from 15th March, 2014 to 18th March, 2014. Taxpayers, therefore, can now pay their advance tax installment by Tuesday, 18th March, 2014 without entailing any consequential interest for deferment.